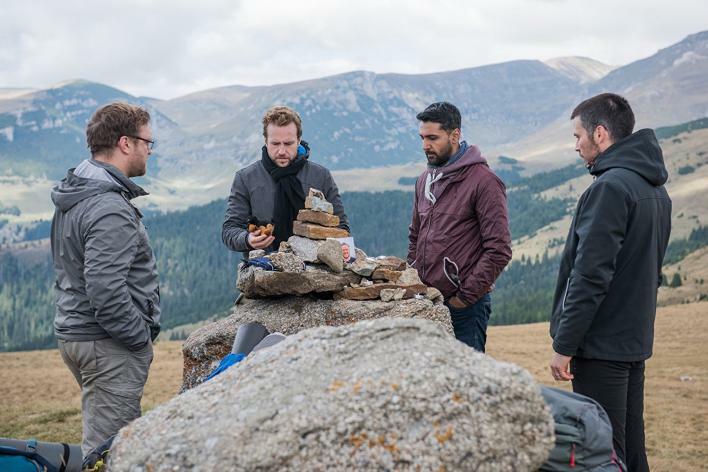 In The Ritual, four friends go backpacking in Sweden to memorialize their fifth, who was killed in a convenience store robbery. They take a shortcut they shouldn’t and discover runes on trees and animal sacrifices, gutted and hung on high branches. Night arrives, it’s raining, and they hear strange sounds in the woods, as if something were stalking them. An abandoned cabin looms, where the monstrous rite enfolding them begins to reveal itself. In Adam Nevill’s novel of the same name, the backpackers encounter shrines to goat-headed deities, Christian crypts and Iron Age shrines — the stratums of a ritual stretching back through time. But where a novel can build the full immensity of history aligned against them, movie runtimes don’t allow the same luxury. Horror can’t wait for history lessons. Part of the adaptation process was research. 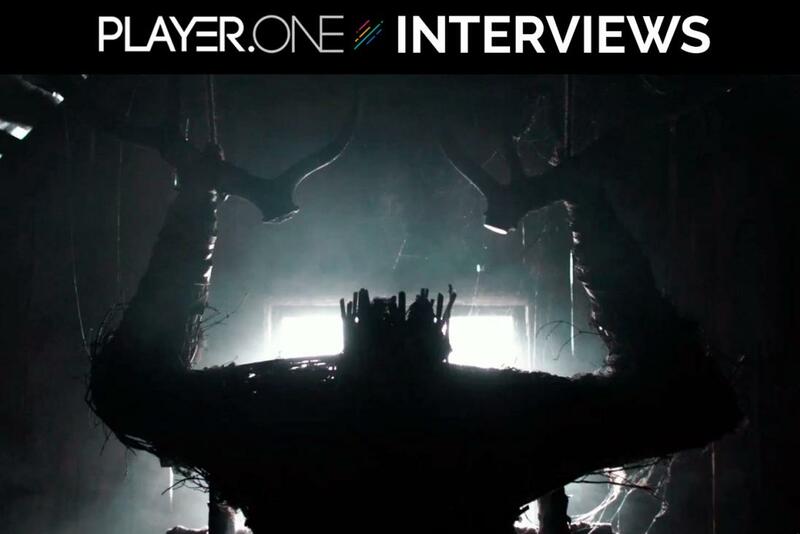 Production designer Adrian Curelea studied down to the runes carved in trees, outlining their meaning, their rationale and how they’d be deployed ritualistically. This provided a foundation that may have been largely invisible to the viewer, and even the characters (“You know, they’re not on a research trip through the woods,” Bruckner said), but could still resonate to haunting effect. However, the occult doesn’t just resonate in history, but through art too. Horror movies have their own visual language for magic symbols, pagan ritual and occult power, built up over decades in movies like Häxan, The Devil Rides Out, Lucifer Rising, The Masque of the Red Death, The Blair Witch Project and The Wicker Man. To create a visual idiom for The Ritual, Bruckner had to pull from the power of our collective mystic heritage, then push deeper, finding the buried substructures of our fear and dread. The result is striking. The Ritual is full of haunting and horrific images, from mummies arrayed in lines of worship to horn-handed effigies built of bundled straw, positioned for kneeling supplication. And just as much power can be found in what’s left unseen or half-seen, which Bruckner compared to the chilling indeterminacy possible on the page. “When you read a book, usually when you encounter something in the shadows, every time it shows up on the page, you imagine it a little bit differently,” Bruckner said. “So I wanted something you could play with in that sense.” Nowhere is this principle played more effectively than with the mysterious monster that seems to follow our four friends through the woods. Designed by Keith Thompson, who also created concept art for Crimson Peak, it’s a being of startling contrasts: human and inhuman features, multi-limbed, sometimes bipedal, sometimes like a titanic moose. While there are many methods to build occult power on screen, Bruckner always returned to the human component: the character whose experiences become the focal point for the delivery of horror. In The Ritual, that would be Luke (Rafe Spall), whose failure to defend his friend during the opening convenience store robbery can either be purged by ritual, or damn him. “A horror film is always a manifestation of the fears and anxieties of the protagonist,” Bruckner said. He is made the object of our ritual, the catspaw for our confrontation with fear throughout the horror movie sacrament.